One of Turin’s most renowned restaurants, just outside the city. 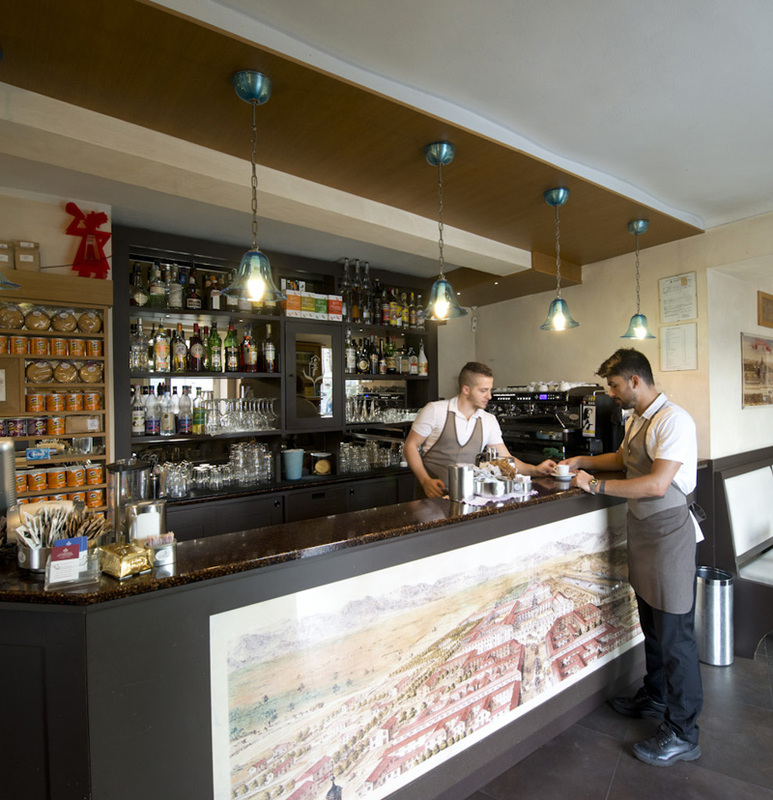 Il Convito della Venaria, one of Venaria’s most elegant restaurants, has its own very welcoming Coffee Shop too. 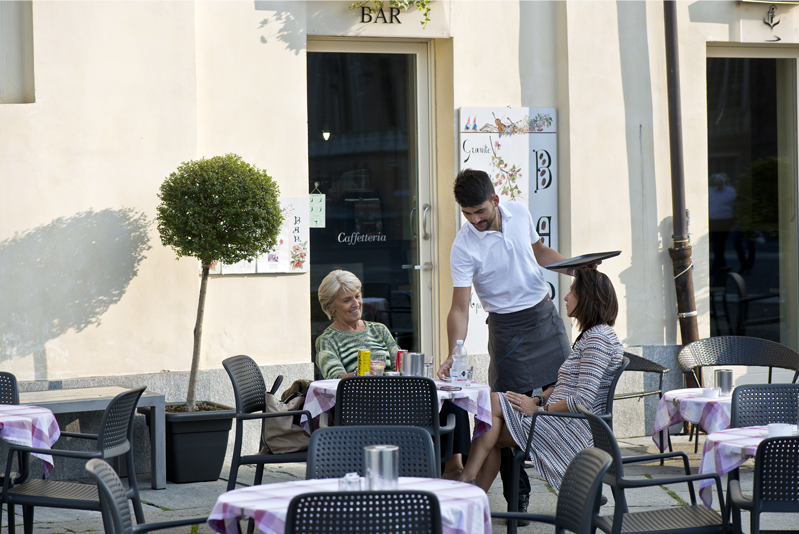 A place for friends and couples to meet, in a very evocative setting in front of the Reggia, La Caffetteria offers you a chance to relax during your visit to the Reggia. 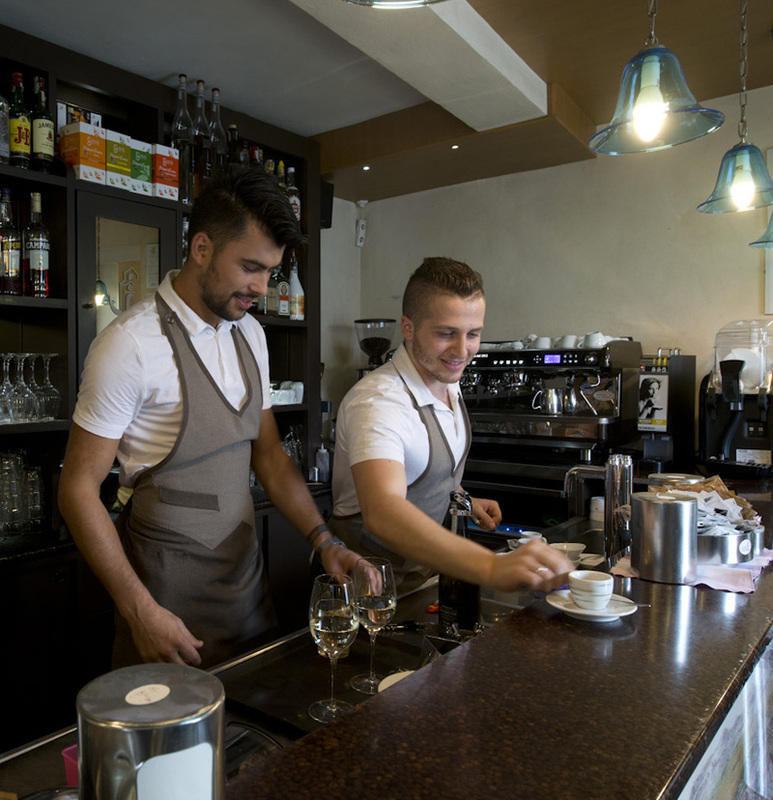 In the morning it serves an excellent Italian breakfast of cappuccino and croissants, while in the afternoon, you can sit at one of its little tables to enjoy a delicious hot chocolate or tea with biscuits. Whether you prefer to take your coffee standing at the bar or seated at the table, you will be served Chicco della Reggia, the smooth yet intense coffee roasted right here at Il Convito della Venaria..
Groups of visitors to the Reggia can rest for a while after their visit at La Caffetteria del Convito, sipping tea in the upstairs rooms overlooking the main square. In summer, La Caffetteria serves outdoor aperitifs, in front of the Reggia, where you can enjoy the magical atmosphere of the Savoy residence which you sip a glass of wine or a cocktail, delighting your taste buds with delicious appetisers. 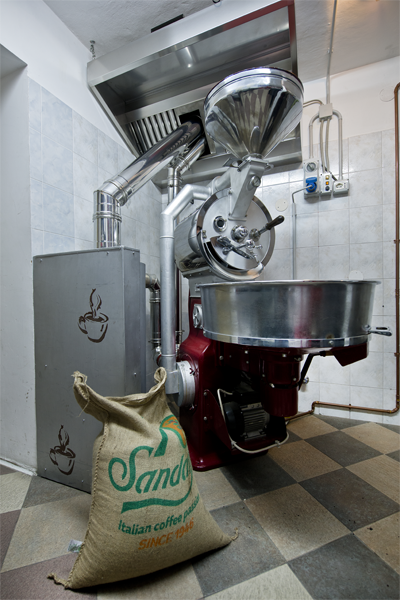 Chicco della Reggia is the artisanal brand of coffee roasted at Il Convito della Venaria. The idea of roasting coffee came from observing a complex world which has always fascinated Christian and Lucia, attracting their attention and arousing their curiosity. This then led to the development of the project to offer those who come to Il Convito a unique product with a very special aroma.. The blend, which goes by the name of “La prima volta” (meaning the first time) consists of 75% South American and African arabica and 25% African and Asian robusta beans. The flavour is sublime and compact, with an ethereal acidity, notes of dark chocolate and essence of candied fruit. The search for the finest coffee is constant. Christian and Lucia test and analyse single origins from both South America and Africa, working with Italy’s leading coffee importers to offer their clients that unique and inimitable flavour of which only the finest coffee roasters are capable.